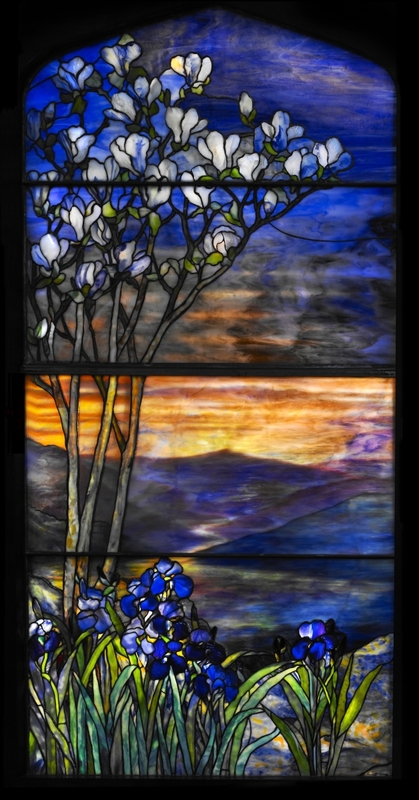 CINCINNATI, OHIO – An exhibition showcasing the full range of Louis Comfort Tiffany’s design skills and ingenuity is presented by the Taft Museum in “Louis Comfort Tiffany: Treasures from the Driehaus Collection.” The exhibition provides a rare opportunity to view Tiffany’s complete oeuvre through opulently colored stained-glass windows, iconic iridescent vases, intricate metalwork and floral-patterned lamps. Featuring more than 60 masterworks, the exhibition is on view at the museum through May 27, before it embarks on a far-reaching national tour that will continue through 2021. 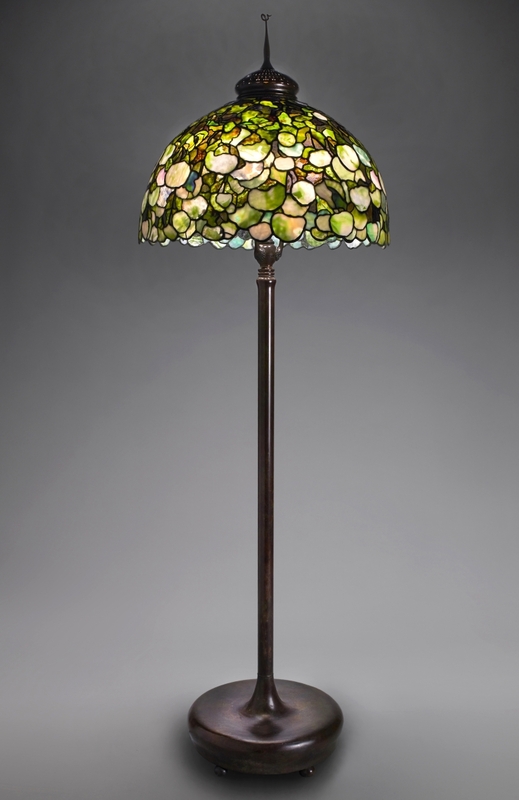 The exhibition includes 16 of Tiffany’s bold plant- and animal-form stained glass lamps, 24 iridescent blown-glass vases, seven large leaded-glass windows and numerous decorative objects, including andirons, candlesticks, humidors and inkwells. 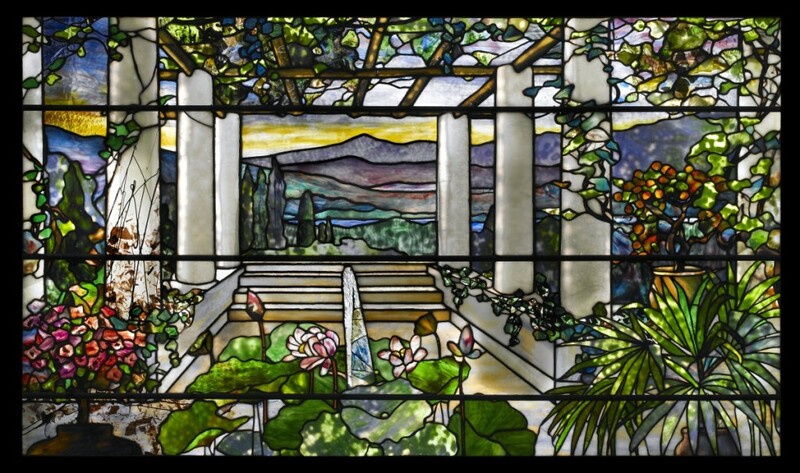 Among the highlights in the exhibition is the illusionistic leaded glass window of a sunset titled “River of Life,” a suite of evocative flower-form vases, a table lamp with Dogwood shade and Fern base and a gilt-bronze jewelry box. 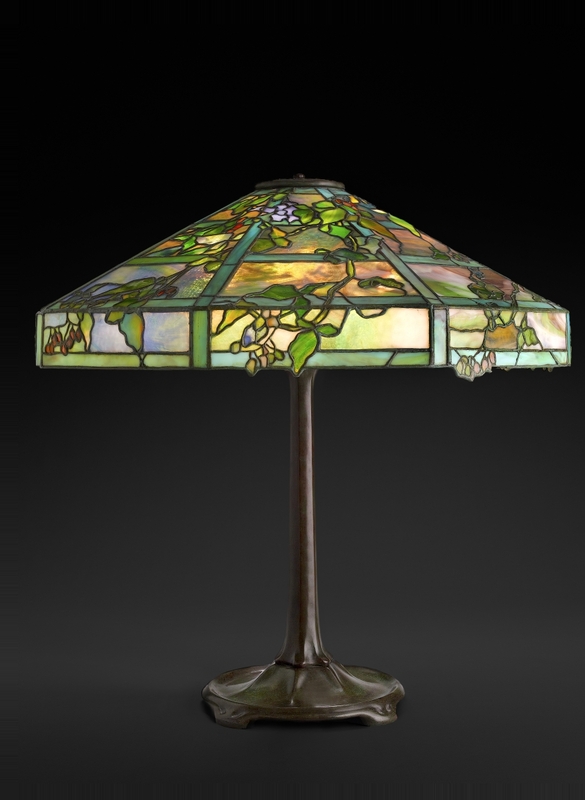 A collection of more than 1,500 Tiffany windows, vases, candlesticks, accessories, pieces of furniture and lamps has been acquired in the last few decades by financier and philanthropist Richard Driehaus. 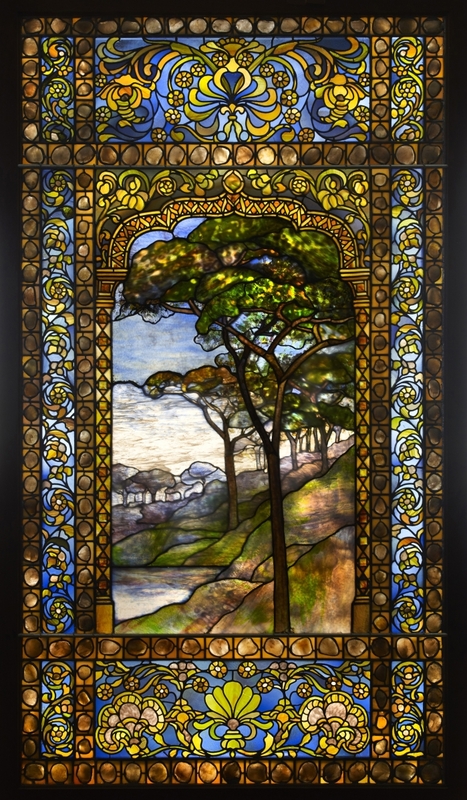 The Richard H. Driehaus Museum – which opened in 2008 in a restored Gilded Age mansion in Chicago – is one of the country’s preeminent collections of American and European decorative arts and holds one of the foremost private collections of Louis Comfort Tiffany material in the United States. 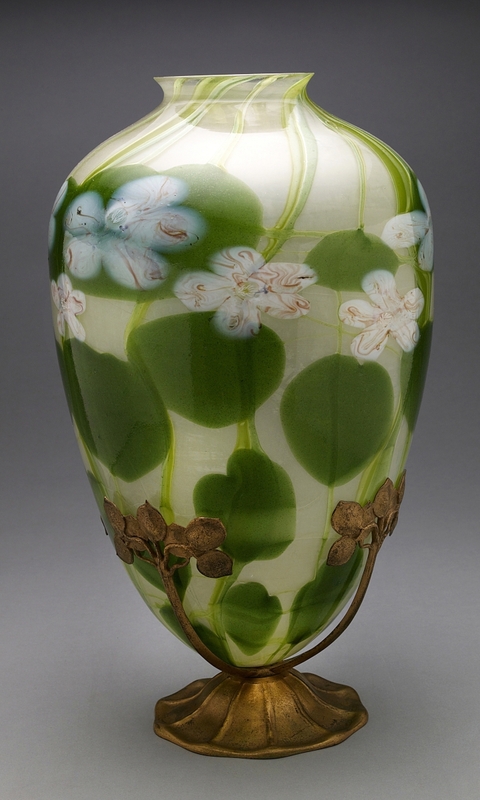 “Treasures from the Driehaus Collection” was curated by David A. Hanks, a decorative arts scholar and curator of the Stewart Program for Modern Design in Montreal. 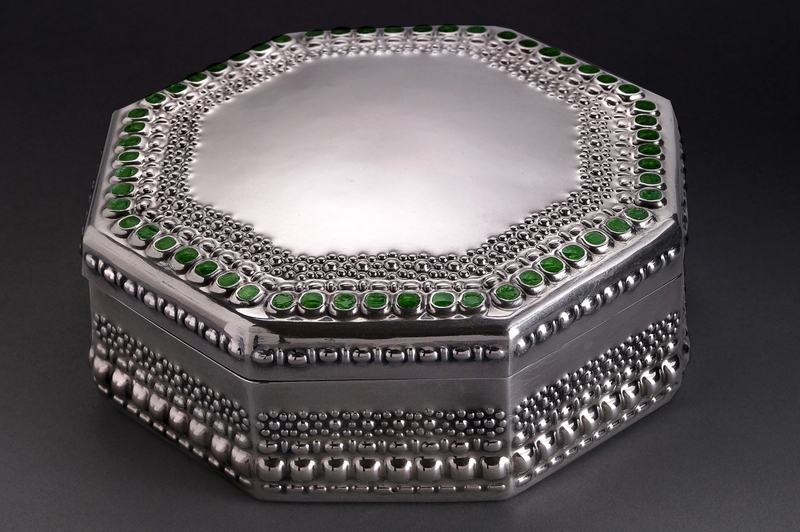 A publication of the same title accompanies the exhibition and includes an essay by Hanks that explores six types of Tiffany objects, a personal “Collector’s Vision” contribution by Richard H. Driehaus and richly evocative and detailed photography by John Faier. The Taft Museum of Art is at 316 Pike Street. For additional information, 513-241-0343 or www.taftmuseum.org.